February 12, 2019 - Are you ready for Valentines? Check out these great ideas! November 2, 2018 - Check out these new beauties! Soft, Warm and the best gift ever!! October 3, 2017 - Ready for Something New?? March 10, 2017 - Lucky Irish? Lucky You! January 19, 2017 - The weather is frightful, but these snugglies are heaven!! November 25, 2016 - Want the best value on Cuddle? Grab It!! November 15, 2016 - What are the best Christmas memories made of? October 29, 2016 - Want some help with your pre-holiday planning?? March 17, 2016 - Is it Fall yet?? March 1, 2016 - Dr. Suess gets a birthday celebration, you get the gifts! December 16, 2015 - Need a quick gift?? We have it for you!! November 28, 2015 - Let the Christmas Fun Begin!! November 24, 2015 - Beautiful Snowflakes that keep you warm? AND they cuddle too? November 5, 2015 - What we REALLY want for Christmas! October 13, 2015 - Embrace or snuggle? Let’s put them together! October 8, 2015 - Is it Fall yet?? December 3, 2014 - What's Red, Green, White, and is on sale??? November 26, 2014 - Sneak Peak of Weekend Sales!! November 21, 2014 - Need "The Best Christmas Present Ever?" November 14, 2014 - We're Thankful for our new Boutique!! November 6, 2014 - Are you ready to have some fun getting ready? December 3, 2013 - Want a new (gorgeous & super soft) quilt for Christmas? November 30, 2013 - FREE spray glue, just to help you "stick together" this holiday season! November 20, 2013 - The most GRATEFUL Time of the year . 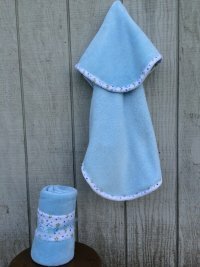 . .
November 8, 2013 - Design your own Snuggle Blankets? Yes, please! July 19, 2013 - A Chevron Nursery Book? No - it's not about cars! July 18, 2013 - A Chevron Nursery Book? No, it's not about cars! April 18, 2013 - Want to see our lovely NEW spring quilts? March 6, 2013 - A BIG GREEN SALE - and Happy St. Paddy's Day too! February 12, 2013 - Know anyone who needs a hug? January 5, 2013 - Where in the world is it colder than Idaho? December 7, 2012 - May your days be Merry & Bright! November 23, 2012 - FREE Scarves and our Top Ten Things to be Grateful For at Cuddle Soft Kits! November 19, 2012 - What's better than our great new scarves? A PRE-cyber Monday SALE! November 1, 2012 - I'm back from quilt market with my bag of goodies for you! October 25, 2012 - Want a treat from Cuddle Soft Kits? We've got lots! September 25, 2012 - What makes beautiful crisp fall days fabulous? A Cuddle Quilt to cuddle in! August 18, 2012 - Look what new things we have for you! June 8, 2012 - Fabulous Quilt Market Tips just for you! March 2, 2012 - Is Green your lucky color? 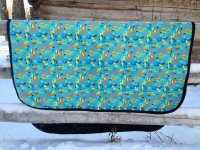 February 6, 2012 - Win our Brand New "Share the Love" Critter Blanket! December 22, 2011 - Need a Fabulous Last Minute Gift Idea? We got it! December 12, 2011 - Looking for a perfect last minute present? How about a Gift Certificate? November 30, 2011 - Open for Big Savings on all Cuddle Soft Kits! November 28, 2011 - Open Now to get your AMAZING Cyber-Monday deals from Cuddle Soft Kits! November 22, 2011 - Why wait? Awesome cyber deals start now! November 14, 2011 - Open to see some Great Ideas Coming Your Way!! September 27, 2011 - One more "Hug"
August 31, 2011 - Valuable Savings at Cuddle Soft Kits - Just for you! March 3, 2011 - Cuddle Soft Quilts goes Green! 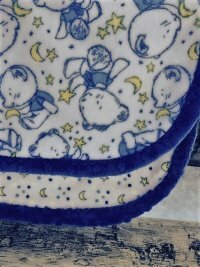 November 28, 2010 - Big Savings on Cuddle Soft Kits! November 27, 2010 - Cyber Monday Holiday Sale starts now!! !